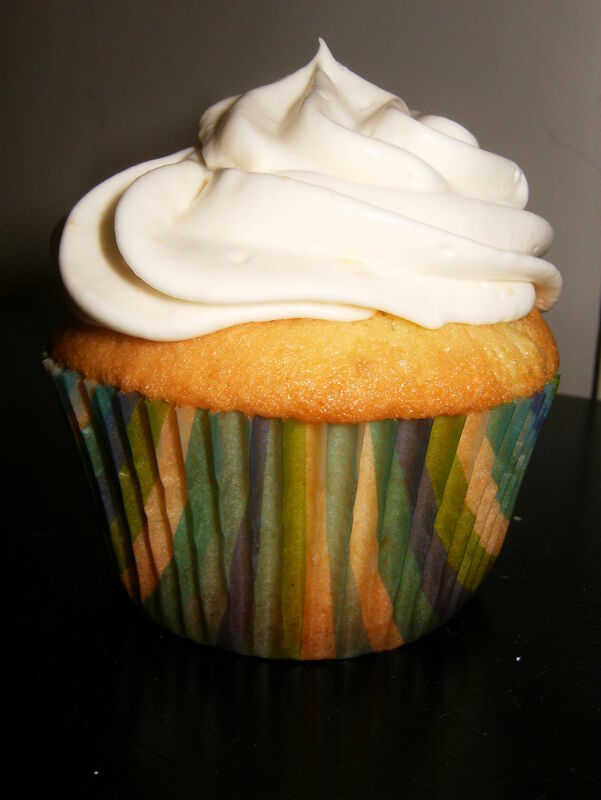 A Return to Cupcakes: The White Linen | Cupcake Villains Strike Again! A very simple and fresh drink, the white linen, has become a Sacramento staple of mine. I first had a white linen at The Shady Lady Saloon, a jazz age bar in midtown with creative cocktails and delicious food. Come to find out, the cocktail was invented by a Sacramento area bartender who has also worked at Ella Dining Room, a very swanky place that makes me wish I had more money. I love Ella’s gin and tonic (they make their own tonic water), and I would really like to try their rendition of the white linen when it’s on their seasonal cocktail menu. Why yes, I do buy my gin by the 1.75 liter bottle. Thanks for asking! 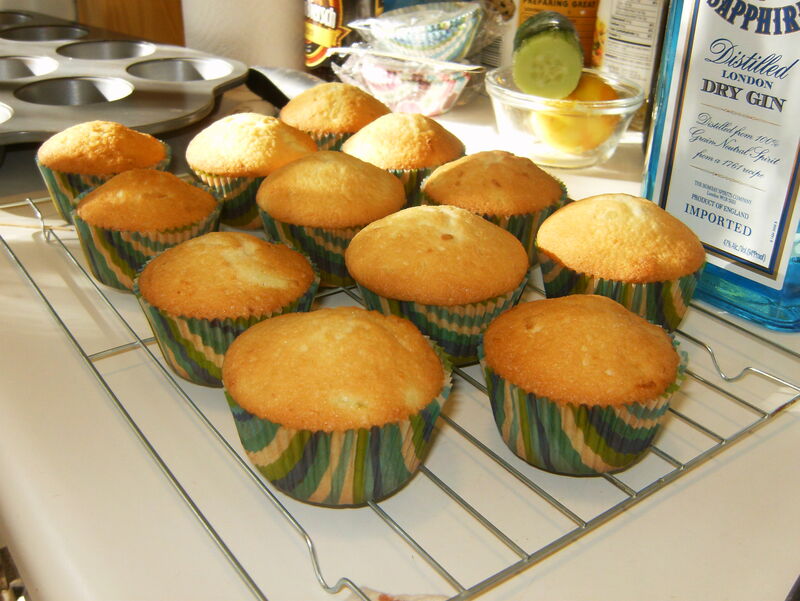 Preheat your over to 350 F. Prepare your cupcake pan by lining the tins or spraying them with baking spray. Cream the butter and sugar together until fluffy and pure white. Beat in the eggs, one at a time, making sure to mix completely, but not to over-beat them. Sift together the dry ingredients (flour, baking powder, salt). Add to the butter/sugar/egg mixture and combine thoroughly. Stir in the wet ingredients and produce (vanilla, tonic water, gin, lemon zest, cucumber). 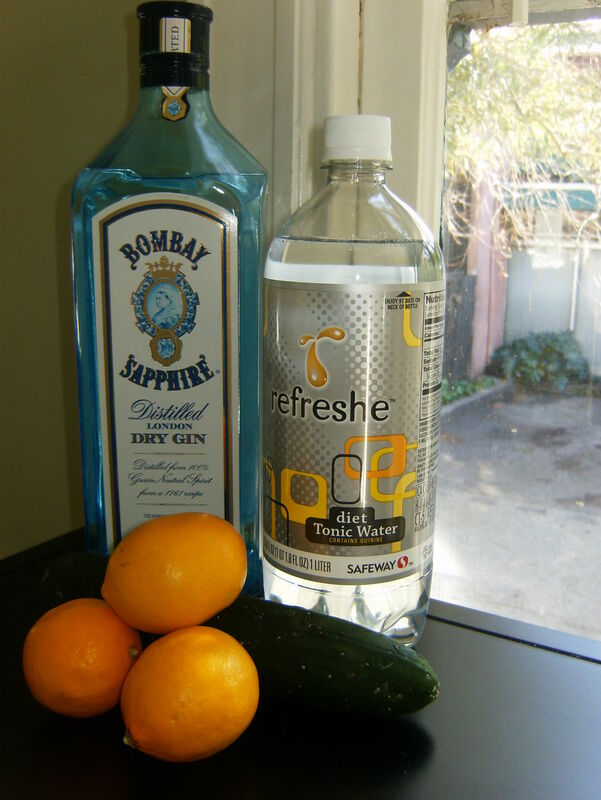 You can use a mixer to integrate the vanilla, tonic, and gin, but be sure to fold in the zest and cucumber. 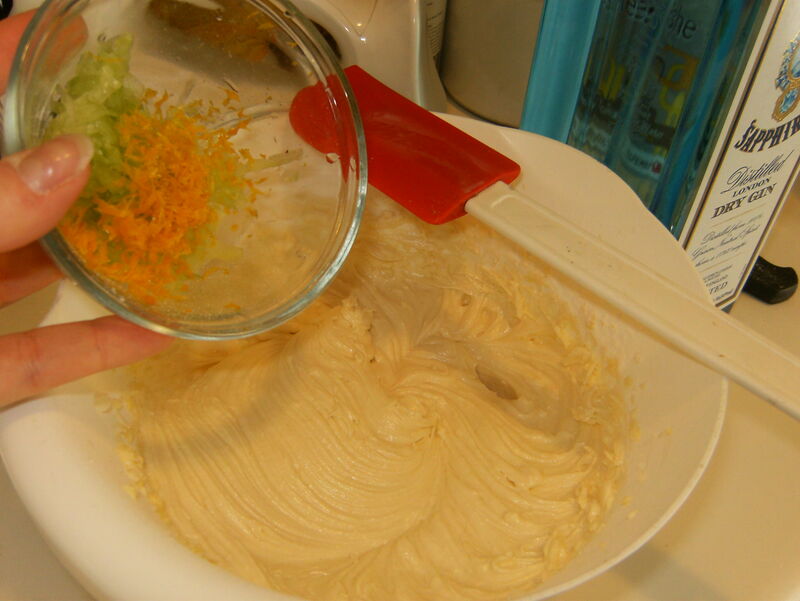 If you use a mixer, the produce will tend to get caught on the beaters and not make it into the batter! Fill the baking cups 2/3 cull. Bake for 18-22 minutes, or until a toothpick inserted comes out clear. Combine the cream cheese, sugar, zest, vanilla, and gin until smooth and creamy. Slowly add the whipping cream, about a 1/4 cup at a time. With each addition of the cream, start your beaters on the lowest setting. Once it’s combined, crank up the beaters as if you were whipping plain cream. Do not add more cream until the frosting can hold a stiff peak. Take your time with this and be patient for the cream to become more solid. Your frosting is done when you have added all of the cream and the frosting itself is at a stiff consistency. Pipe frosting onto the cupcake just before serving/eating. If you want to make the frosting ahead of time, store it in an airtight container. Overall, the cupcakes were tasty, though I was disappointed with them. I could not taste the cucumber. If you choose to make the recipe, and are a fan of cucumber, add more than what I have listed above! Likewise, I think the gin baked off a little too much, which is why I added more to the frosting (not my original plan). The cake was slightly dense as I think I over-baked them! I’d love people’s thoughts on how to accentuate the cucumber flavor! Hmm, perhaps save the cucumber juice & use it as a replacement liquid?